A simian crease poll among parents of babies with Down syndrome! 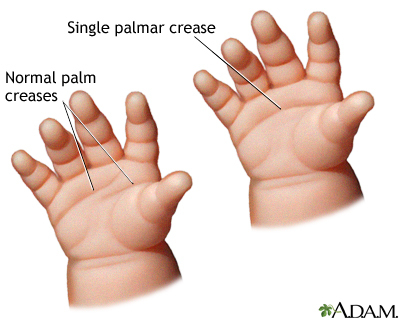 1 - Simian crease - in both hands! Re: A simian crease poll among parents of babies with Down syndrome! I thought I'd share this pic, this young man is normal, very energetic, sporty and can get obsessed about stuff, but he is still young and I think he will do well. But no sign of downsyndrome. I am not sure why you have posted this picture ... but I can add that one should understand that the simian line is only an 'element' that is often seen in Down syndrome. But many 'simian liners' do not have Down syndrome. 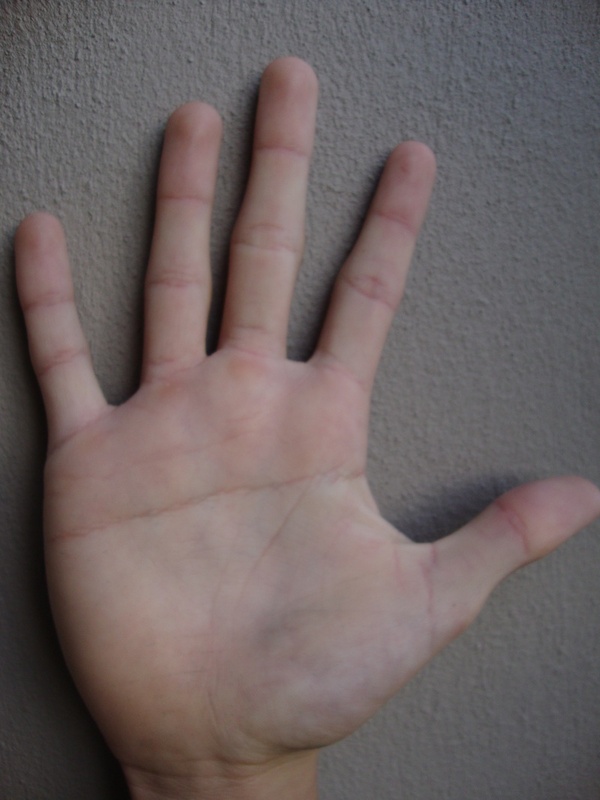 In fact, far most people who have a simian line do not have Down syndrome... and the difference between the hands of those people and the people who have Down syndrome can be recognized relatively easy via the other hand characteristics (e.g. the hand shape + dermatoglyphics). Sorry Martijn, I understand what you are saying and I think I posted this picture in the wrong forum. I guess I wanted to discuss simian line in general. ... Okay, no problem at all.